DAVID LE/Staff photo. 4/17/15. Peabody senior Bobby Caproni slides across the turf in celebration as the referee signals a good goal. 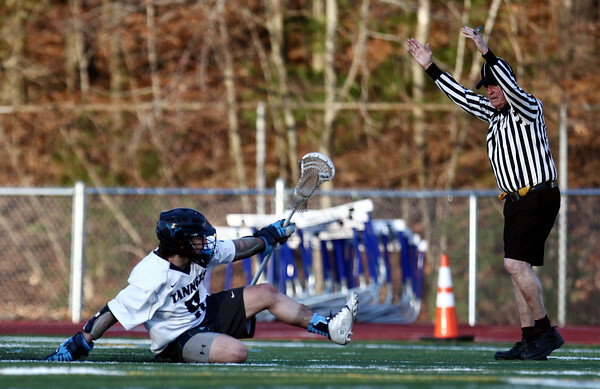 Caproni scored the game-winning-goal to lift the Tanners to a 10-9 victory over Danvers.